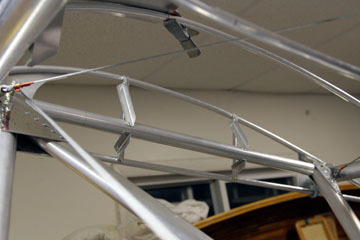 As mentioned earlier, a conflict exists between the tip ribs of the center section and the landing wire tangs. My solution was to add a large gusset at each tang so the lower rib tube could be cut to allow the tang to be aligned properly. 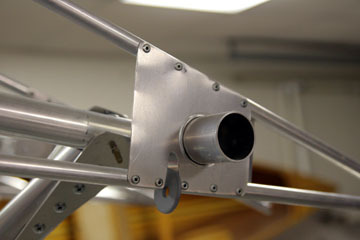 Another question arose as to how to access the attach bolts for the lift struts after the center section is covered. I decided to leave the area between the two large gussets on the tip ribs uncovered so I could reach inside the section to the bolts. 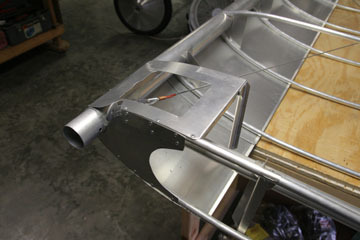 That is the reason for the cutout in the nose gusset. 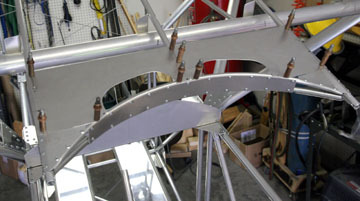 The remaining leading edge is now ready to be installed. It also occurred to me that when the lift struts and gear legs are removed from the fuse, it could be a hassle getting the two sleeves on each longeron aligned corrected so the bolts can be inserted. I ran a stainless sheet metal screw through each set of sleeves to lock them into position so I won't have to finagle the bolts into the sleeves. Work continues on the handholds, still more to come. 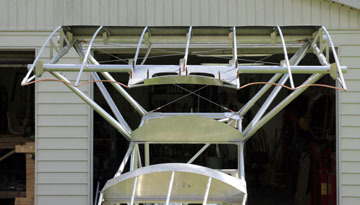 The distinctive Fokker trailing edge is formed with 1/4" copper tubing. 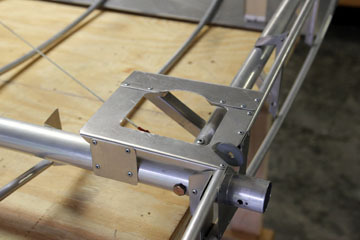 I used the 14" diameter forming fixture to bend the tubing. 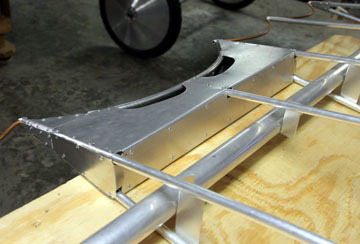 Leading edge is now complete. Here is the finished handhold, it turned out to be quite stiff. 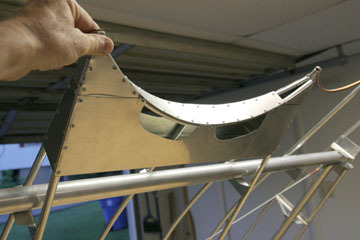 It is basically a box that lends rigidity and seals the interior of the wing from the handhold. 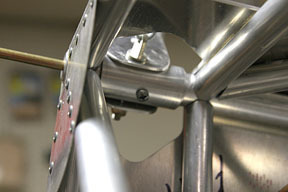 Bottom of the handhold assembly. 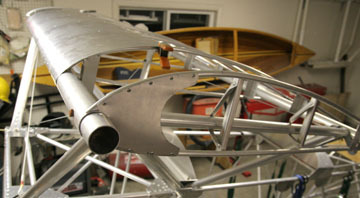 Top wing center section is finished. I redid the copper trailing edge because I refined the process during the course of finishing the other wing panels. 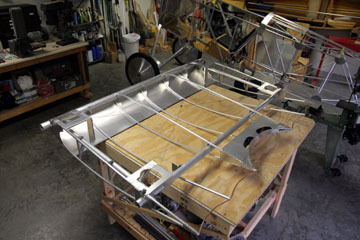 All wing panels are ready for fabric.